Pharmacy technicians today perform many of the traditional pharmacy functions once performed by pharmacists. A pharmacy technician supports and enhances a pharmacy’s offerings to the public. 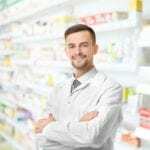 Assuming a key role in the smooth operation of the pharmacy, the technician frees the pharmacist to deal with those duties that require a pharmacist’s professional judgment. Pharmacy technician programs give students the confidence to become active participants in this growing field and become certified pharmacy technicians after passing a national certification exam. With proper training, graduates become a valuable asset in hospitals, retail stores, and home health care. Concorde equips pharmacy technician students with the theoretical knowledge and practical skills to begin a career as a pharmacy technician. Graduates are eligible to sit the PTCB exam for national certification. The curriculum offers 800 contact hours: 337.5 in the classroom, 142.5 hours in the lab, and 320 externship hours. Students earn 27.5 credit hours at the end of the 32-week program. Course topics include introduction to pharmacy technician, pharmacy calculations, pharmacology, pharmacy practice, compounding and aseptic techniques, ambulatory externship, and institutional externship. Applicants must pass the Wonderlic test with a score of 10 or above. Students must also assent to a criminal background check and random drug testing. Tuition for the program is $12,700. Books and supplies cost an additional $903. The ASHP accredited pharmacy technician program at Pinellas Technical College prepares students to support registered pharmacists in a pharmacy setting. Graduates are eligible to sit the PTCB exam to become certified pharmacy technicians and register with the Florida Board of Pharmacy. The curriculum offers 1050 hours of theory and practical training in the areas of pharmacology, aseptic techniques, inventory control, pharmacy calculations, and dispensing medications. The program is available in a traditional format and as a distance education, blended option for students with proficient computer skills. Day and evening schedules are available. Applicants must have a high school diploma or GED and meet the health occupations admission guidelines, including a criminal background check, drug screen, and immunizations. Students must be at least 18 years by the time of graduation. The cost of attendance includes tuition ($3,066), application fee ($15), lab fee ($360), additional fees ($112.50), supplies and uniform ($445), and textbooks ($394). Rasmussen’s pharmacy technician students are set on the path to becoming major players in the fast-paced healthcare industry. The 9-month program is skills-based with practical training opportunities in a lab as well as real-life training opportunities in a retail or institutional pharmacy. At the conclusion of the program, students will have the confidence to succeed on the PTCE and transfer into an associate’s degree program. Course topics include career development, customer service in healthcare, medical terminology, medical law and ethics, foundations of pharmacy practice, pharmacy calculations, pharmacology for technicians, sterile and non-sterile compounding, structure and function of the human body, pharmacy retail practicum, and pharmacy capstone. Applicants must successfully complete and pass a background check. Tuition for the program is $13,580. UMA pharmacy technician students learn how to calculate dosages, prepare insurance claims, use medical terms, manage inventory, and much more. Graduates are prepared to sit on the PTCE for national certification. The 17-month program concludes with an associate of science in health sciences. Required courses include pharmacy technician fundamentals, pharmacology and sterile products, HIV/AIDS, anatomy and physiology, pathophysiology, drug/dosage interaction, pharmacy law and ethics, community and institutional pharmacy, and pharmacy technician externship. General education courses include English composition, critical thinking and problem solving, general biology, sociology, interpersonal professional communications, psychology, and diversity in the workplace. 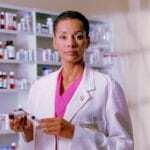 A condensed pharmacy technician diploma program consisting of 37.5 credits. The program is offered in online format. Tuition for the program is $16,125. The pharmacy technician program at Barry University prepares students for success on the national certification exam. Over a period of 10 weeks (60 contact hours), students gain the skills to become a Certified Pharmacy Technician. With an emphasis on preparing you to pass the National Certification exam, Barry University’s, 10-week, 60 hour Pharmacy Technician Training Program provides you with the knowledge you need to become a Certified Pharmacy Technician. Using a lecture based format along with quizzes, competency assessments, and interactive exercises, instructors cover patient interaction and privacy, prescription processes, controlled substances, pharmacy math, basic anatomy and physiology, basic pharmacology, OTC medications, non-sterile compounding, state law, and the dispensing process. The program’s cost is $1,195 and includes the required textbooks. The Pharmacy Technician diploma program at Everest includes technical and practical training to prepare students, upon certification, to function as an entry-level pharmacy technician to a licensed pharmacist. The curriculum aims to develop students’ understanding of drug distribution systems, pharmacy calculations, preparation of sterile dosage forms, infection control, medication errors, body systems, history and ethics of pharmacy, administration of medications, and pharmacy clinical. Upon completion of the program, graduates will be eligible to take the national pharmacy technician certification exam. The 33-week program includes 760 contact hours or 48 credit hours. Applicants must be 18 years at the expected graduation date, pass a background check, and possess a high school diploma or GED. Tuition for the program is $11,52. Books and supplies cost an additional $1,154. The pharmacy technician program at Brewster Technical College prepares students for the PTCB national exam and a career as a Certified Pharmacy Technician. The curriculum incorporates 1050 hours of theoretical and practical training in pharmacology, pharmacy math, law and ethics, dispensing process, body systems, pharmacology, generic and brand name drugs, non-sterile compounding, and inventory control. Classes meet Monday through Friday from 7:30 am to 1:30 pm for 12 months (1,050 clock hours). Applicants must pass a background test, be 18 years or older, be able to lift 40 pounds, pass a basic physical and obtain required immunizations, and be a high school graduate or have a GED. Tuition for Florida residents os $4,300 and includes books and fees.